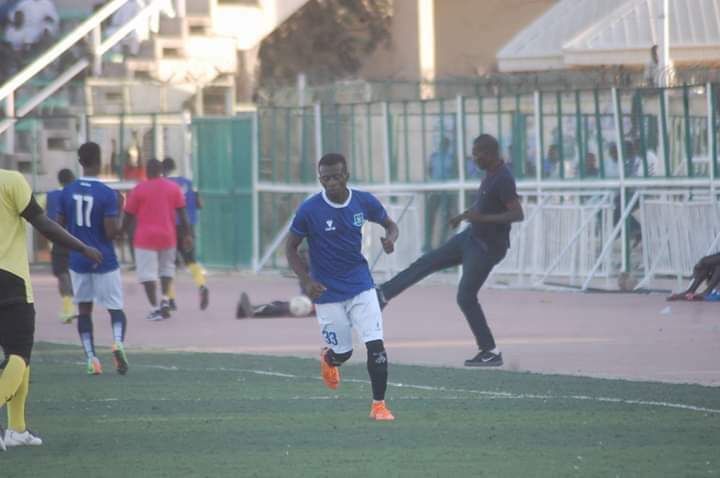 Niger Tornadoes right back Jibrin Mustapha has urged his teammates to go all out and earn a good result against the top of the Nigeria Professional Football League group A MFM FC of Lagos on Sunday. The Ikhon Allah Boys won their first three points of the season on Wednesday, beating inform Sunshine Stars of Akure 1-0 at Kontangora Stadium and they are expected to give a good account of themselves when they clash with MFM at the Soccer Temple in Agege. The attacking right-back disclosed to the Media after the team arrived Lagos for the Sunday clash , He said the team is fully ready for the encounter. Rejuvenated Niger Tornadoes will be hoping to continue their newly find form against MFM FC in the matchday 8 of the Nigeria Professional Football League.